What do you know about the most famous smartphone series in the world from Samsung S1 to Samsung S8? How did Samsung S Series develop? The South Korean Company Samsung is one of the most popular smartphone manufacturers and it is ranked second in the world. Samsung has recently added a new version of the Samsung Galaxy S series: S8 with spectacular design and curved edges. But how did Samsung develop the Galaxy S Series. For those who did not hear about Samsung Galaxy S, it is a smartphone series developed and produced by Samsung. The first generation of Samsung Galaxy was released in June 2010, and since then they have sold more than 177 million devices from the whole series; Samsung Galaxy S3 sold 60 million alone during the first months of its release. In this article, we will review the development and improvements that happened with this series over the course of these 7 years. This was the first Samsung Galaxy S to be released by Samsung back in June 2010. It was clear this phone was a success as it sold more than 20 million devices. Back then, Samsung Galaxy S was considered a real high specification phone with its 4.0-inch Super AMOLED touchscreen (which Samsung is still using and developing until this day), single-core processor with a frequency of 1 gigahertz, 521 megabytes RAM, powered by Android 2.1, and a back camera with a resolution of 5 megapixels, and a front camera with an 0.3 megapixel resolution. Despite its strong specifications at the time, Samsung Galaxy S still had some system bugs and a weak plastic exterior that did not make it as strong as it should have been. But that did not stop Samsung Galaxy S to shine in the smartphone world making it certain that Samsung will release another version of this phone in the future. The second S series release was in April 2011 and it was aimed at maintaining the success the first Samsung Galaxy S accomplished. Samsung Galaxy S2 still had a 4.0-inch Super AMOLED screen with a resolution of 800x800 pixels. It operated on a dual-core processor with a frequency of 1.2gigahertz, and 768 megabytes RAM. Samsung Galaxy S2 had a back camera with a resolution of 8 megapixels and a front camera with 2 megapixels resolution. The biggest improvement the phone had was with its design. Samsung made it thinner with a thickness of 8.49 millimeters to become the thinnest phone in the world. Samsung Galaxy S2 won the best phone award at the Mobile World Congress (MWC). But still, one of the major disadvantages was its design as it was not appealing to users. This was an issue Samsung fixed in Samsung Galaxy S3. Samsung announced their innovative Samsung Galaxy S3 in May 2012 with exceptional specifications and features. It had a 4.8-inch Super AMOLED touchscreen with a high definition (HD) resolution of 720x1280 pixels which was revolutionary at the time. It operated on a quad-core processor with a frequency of 1.4 gigahertz. It was released in two versions concerning RAM: 1 or 2 gigabytes. The back camera still had a resolution of 8 megapixels and the front camera had a 1.9 megapixels. The biggest developments were the system and interface known as TouchWizz (inspired by nature). It had many features like Multiwindow, SmartStay, and the artificial intelligence voice command system S Voice. Even if Samsung Galaxy S3 was not the most appealing phone, design-wise, it had strong specifications and Samsung was prepared to release Samsung Galaxy S4. Samsung released Samsung Galaxy S4 in April 2013 with high specifications and features. It had a 5.0-inch Super AMOLED touchscreen with FullHD resolution 1080x1920 pixels. It operated on a quad-core processor with a frequency of 1.9 gigahertz and 2 gigabytes RAM. The back camera had a resolution of 13 megapixels. The system was developed as Samsung installed many new features for the user. It had an Infrared Blaster (IR Blaster) that enabled Samsung Galaxy S4 to act as a TV remote control, movement recognition sensors like moving the palm in front of the screen to move through pictures, auto-video pause when looking away, as well as taking audio-pictures (lasting 9 seconds), and many others. Despite all the system improvements – when it comes to its specifications and features – but the plastic frame is still a limitation; especially as Samsung is receiving competition from other brands like HTC when they released HTC One M7 with its new steel frame. 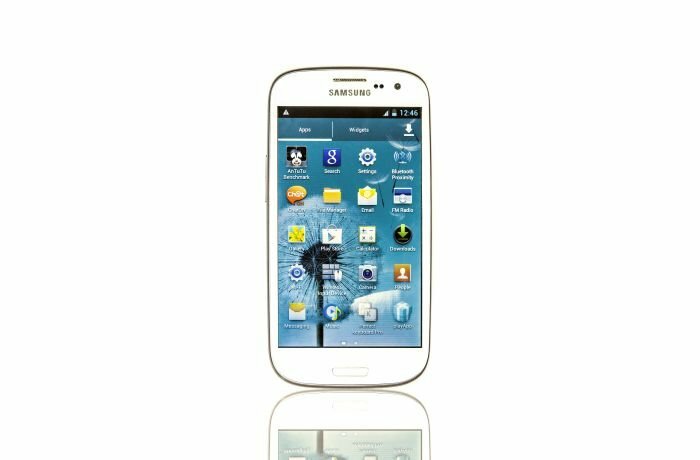 Samsung Galaxy S4 did not have many differences between it and Samsung Galaxy S3 and users did not find a need to switch to it which minimized Samsung Galaxy S4’s sales. Samsung released Samsung Galaxy S5 in April 2014 with new specifications and features. It had a 5.1-inch Super AMOLED touchscreen with FullHD resolution of 1080x1920 pixels. It operates on a quad-core processor with a frequency of 2.5 gigahertz with 2 gigabytes RAM, 16 megapixels rear camera, and 4K video recording. Samsung Galaxy S5 has additional features like being dust and water resistant, fingerprint recognition, heart rate monitor when exercising, temperature and humidity monitor, USB 3.0 port, in addition to all the previous features that were in Samsung Galaxy S4. Despite all these features, the phone still did not live up to the expectation Samsung had. The design was not encouraging and the TouchWizz became heavy causing slow performance on the long run. Samsung took a big turn in April 2015 with the release of Samsung Galaxy S6 with its new design. It had a 5.1-inch Super AMOLED touchscreen with a resolution of 1440x2560 pixels, a 3 gigabyte RAM and operating on an octa-core Exynos processor (manufactured by Samsung). The camera still had a 16 megapixels resolution but with better sensors and technologies. Samsung Galaxy S6 was released in two versions, both had identical system specifications but with one major difference: a curved screen. Samsung decided to fix one of the weaknesses in their phones, which is the design. 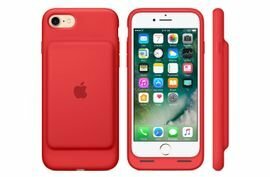 They changed the plastic and removable back cover to a mixture of glass covering the front and the back, and steel that holds the phone’s components together and a thin frame. 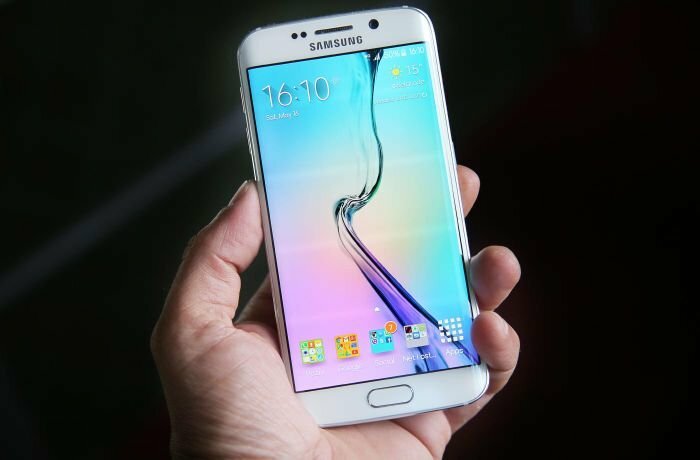 Samsung Galaxy S6 Edge has a curved screen that goes over the phone’s edges making them seem thinner. Samsung also equipped this curved screen with specifications. They also changed their TouchWizz to a lighter version making it more like Android and sacrificing many of its features. These changes made Samsung Galaxy S6 one of the fastest and smoothest phones in the world. 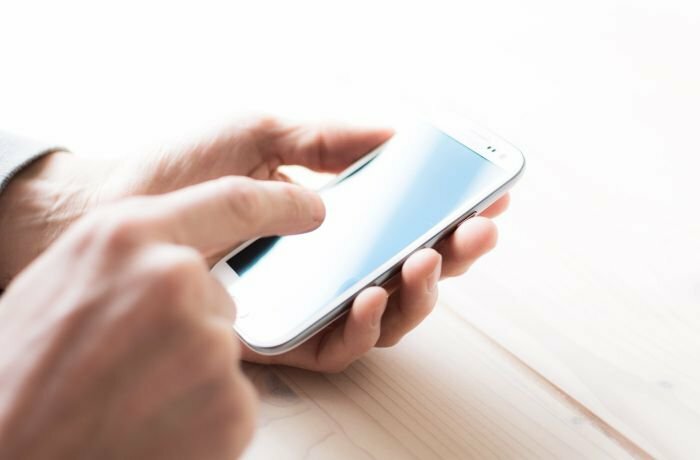 A year after Samsung released their first Edge phone, they returned with two new phones: Samsung Galaxy S7 and Samsung Galaxy S7 Edge. Both had similar features like a Super AMOLED touchscreen with a 2K resolution, and 12 megapixels camera with dual-pixel feature making it one of the best cameras in smartphones when used in bright and dim lights. Samsung Galaxy S7 had a flat 5.1-inch touchscreen while Samsung Galaxy S7 edge had a bigger 5.5-inch curved screen. It also had less shinny edges making them seem smoother. With the release of these two phones, it was clear that Samsung was trying to play a safe play. They fixed some bugs that were in the phones and succumbed to users wanting a dust and water resistant screen. They also worked with Google to improve the operating system making it lighter and smoother. The latest release of the innovative Samsung Galaxy S series was Samsung Galaxy S8. It was clear that Samsung pulled some bold moves with this release as they were trying to compensate for the losses of Samsung Galaxy Note 7 with its exploding battery. Samsung dropped the Edge name as the normal screen for their phones are now curved. Both phones have identical features and specifications except for the screen size. Both Samsung Galaxy S8 and Samsung Galaxy S8 Plus have big curved screens. S8 has a 5.8-inch Super AMOLED touchscreen with a 2K resolution, and S8 Plus has a 6.2-inch Super AMOLED touchscreen with a 2K resolution as well. These big screens did not affect the dimensions a lot as Samsung removed the home screen button from the front to that back. 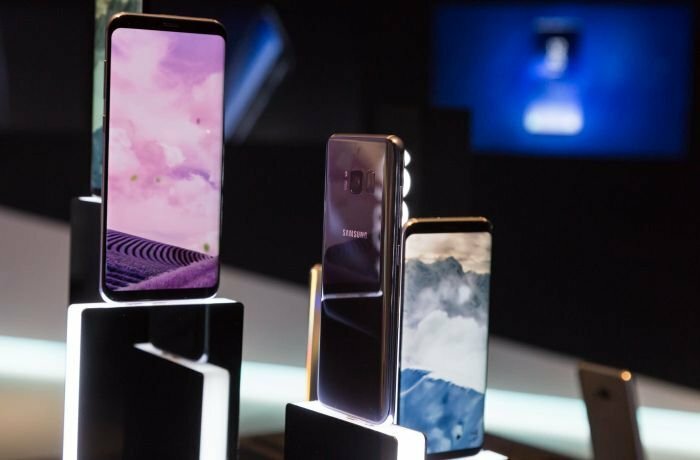 Samsung placed high hopes on these phones with their steel and glass frame design, their slim thickness, and curved screens. Samsung Galaxy S8 and Samsung Galaxy S8 Plus operate on a Qualcomm Snapdragon 835 processors with 4 gigabytes RAM. The back camera did not have any major changes regarding the sensor but they improved the technicalities to improve the image quality. They also equipped them with iris recognition passcode for more security.